I am a native of French Riviera where my parents still live. They work as landscape/nursery so I grew up in the middle of plants and have been used to care about it since I’m a child. I also always had live with animals. 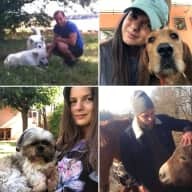 Dogs, cats, hen, even sheeps and a donkey ! I left south a France 7 years ago to study clinical psychology in Paris and it was part of rich human experience. There, I met my boyfriend John, who is a native of Parisian countryside and also has family in south of France where he is used to travel. He grew up with dogs and cats. He has experimented many fields like commerce, acting, restauration, he is very curious and creative ! We are both real pet lovers who love walking into the woods ans traveling. We decided to leave Paris to live the adventure and travel in many countries ! Hope we will meet nice people and pets, and find nice place to stay ! Housesitting is for us a great opportunity to travel in a spontaneous and surprising way ! Choosing places to stay regarding people who want to welcome us... And care about pets is for us a pleasure ! We have the practical experience of looking after our own property and dealing with any issue. Caring for our own pets over the years, which have included dogs, cats, hens, sheeps, has given us experience and knowledge. We have experience in city, rural and country places. Small, medium and large properties. I have been a B&B host for many years so I am used to provide the best in the place I propose. John is full of ressources to fix anything ! He is also experienced in houseworks. I also grew up in a family of manual workers so I have watch and learn lot of things regarding garden and many housework ! 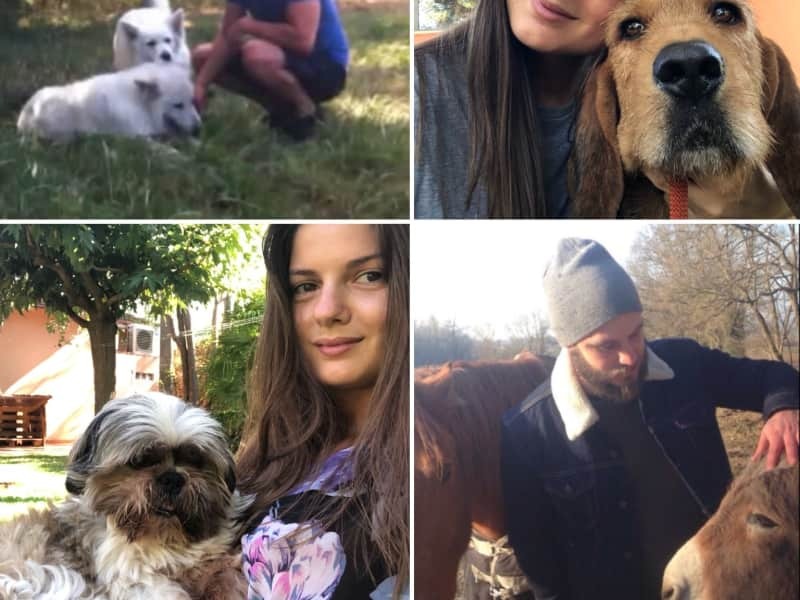 Caroline has take care of my cats and dog several time when I am not at home or traveling. She fed them, took them for a walk, gave medication while necessary. She also gave help for any duties I could not do while not in town (check the house, mailing...). I truly recommend her, she is responsible and very affectionate with animals !